After launching Coup rental service, which operates 3,500 electric scooters in Berlin, Paris, and Madrid, Bosch is now preparing an electric van sharing system in Germany. Bosch partners with toom, a subsidiary of the German retail group Rewe, that has more than 330 hardware stores. The idea is to offer small delivery vans at toom stores, that would enable customers to carry heavy and bulky purchases back home. The service will be launched in December 2018 at five stores in five cities (Berlin, Frankfurt, Leipzig, Troisdorf, and Freiburg). Bosch decided to use StreetScooter electric vans produced and used in volume by Deutsche Post DHL (it's worth noting that Bosch is the supplier of the powertrain for StreetScooter). Those vehicles will be rented simply by using an app. Each store will also have charging infrastructure to handle the fleet and since each vehicle will back returned back to the store, van sharing makes perfect sense. In Germany, already 2 million people are using some kind of vehicle sharing services and 1/10 of the fleet is electric. Quickly renting a car by app is something that nearly two million people already do in Germany alone, and the number of car-sharing users is on the rise. In this growth market, Bosch is launching a new sharing service for electric vans. Together with toom, a subsidiary of the German retail group Rewe, the company will be testing the service at hardware stores, which is precisely where there is a demand for vans with sufficient space to carry heavy and bulky purchases. “Bosch is growing with digital services for urban mobility. 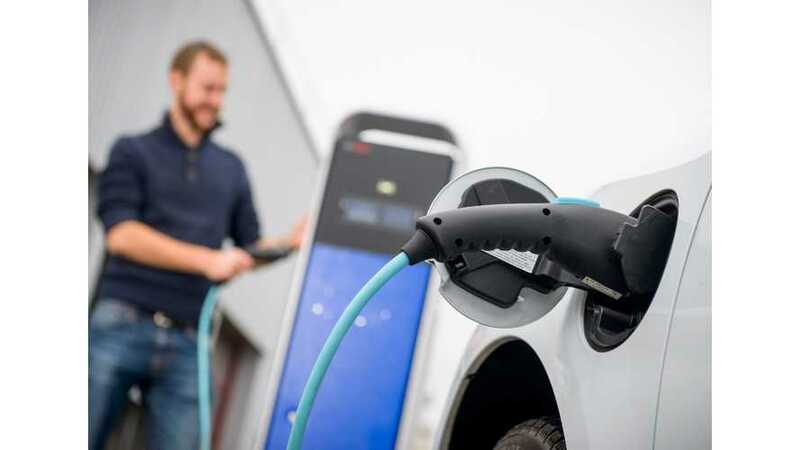 A service for sharing electric vans has huge potential for growth,” says Dr. Rainer Kallenbach, president of the Connected Mobility Solutions division at Bosch. With more than 330 stores, toom is one of the top providers in the German home-improvement industry. From December 2018, it will only take a few clicks for customers at five selected stores to directly book an electric van on site, and quickly and simply take stone slabs, balcony plants, and paint pots home with them. “As a company committed to sustainability, we are always eager to constantly improve our contribution to environmental protection. We’re therefore very pleased that we can now offer our customers an eco-friendly way of taking their purchases home,” says Wolfgang Vogt, toom’s managing director for finance and personnel. Bosch is already well versed in the sharing services business, as demonstrated by Coup, its rental service for electric scooters. Since its launch in 2016, Coup has constantly expanded, and now has a fleet of 3,500 scooters in Berlin, Paris, and Madrid. In Germany, one in every ten shared cars now has an electric motor. In its Coup and van-sharing schemes, Bosch has opted exclusively for electrically powered vehicles. “Fully electric driving is ideal for urban mobility – whether that means downtown delivery traffic or individual mobility in major cities,” Kallenbach says. 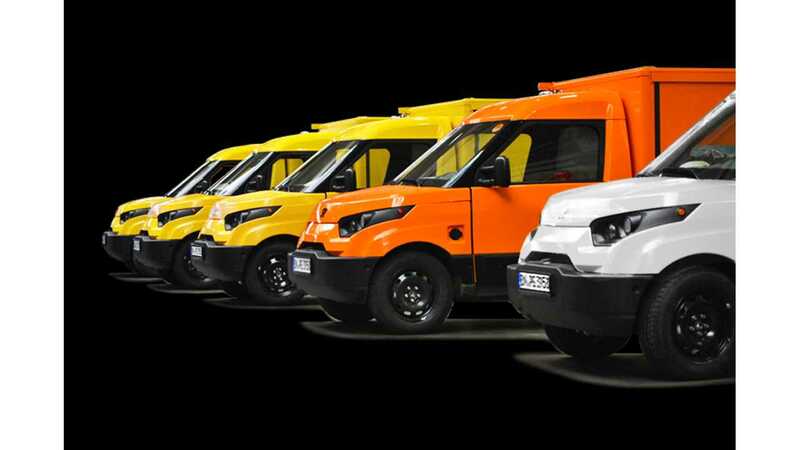 The van-sharing service will initially be offered in Germany, at hardware stores in Berlin, Frankfurt, Leipzig, Troisdorf, and Freiburg. At these stores, charge spots are already in place for the small electric vans, which are provided by StreetScooter. Bosch supplies the powertrain components for these vehicles. The company believes that shared electric vans have scope for application outside the hardware-store sector: if the new sharing service proves popular, Bosch plans to expand it to include other partners, whether these be other toom stores, furniture stores, supermarkets, or electronics stores. Car sharing has long ceased to be a niche market, as indicated by the sector’s rapid growth: by 2025, the market is projected to have as many as 36 million users worldwide (source: Frost & Sullivan). More and more users, especially in big cities, are taking advantage of app-based services to reserve a vehicle at any time, day or night, then climb right in and drive off. Large and bulky purchases rarely fit into the backpack a shopper might use when traveling through the city on a rented scooter or bike. Anyone who finds themselves needing a way to transport their hardware-store purchases can use the new service to reserve a roomy electric van, either a few hours in advance or at the last minute when making the purchase. Vans can be returned to the same station that the shopper picked them up from. The great advantage here is that users pay a flat hourly rate that includes mileage and battery recharging, an arrangement that is often less expensive than the classic car rental. In addition, the entire process from rental to return is completely digital – with no tedious paperwork.